CRFKC Rok Cup Report: Chanko and Curran Dominate the Day at Goodwood – CKN | CanadianKartingNews.com | Because Karting is a way of Life! 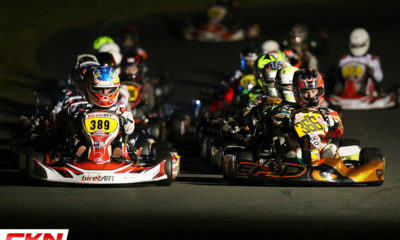 Nearly 200 racers made their way to Goodwood Kartways on Sunday for the first big event of the Ontario karting season; the Champion Ron Fellows Karting Challenge. What was once a joint club racing series has now become a regional power program, with drivers traveling from as far as Nova Scotia as well as all corners of Ontario to take part. In total, there were 192 entries taking part on Mothers Day and the beautiful weather provided the perfect atmosphere for a big race day. 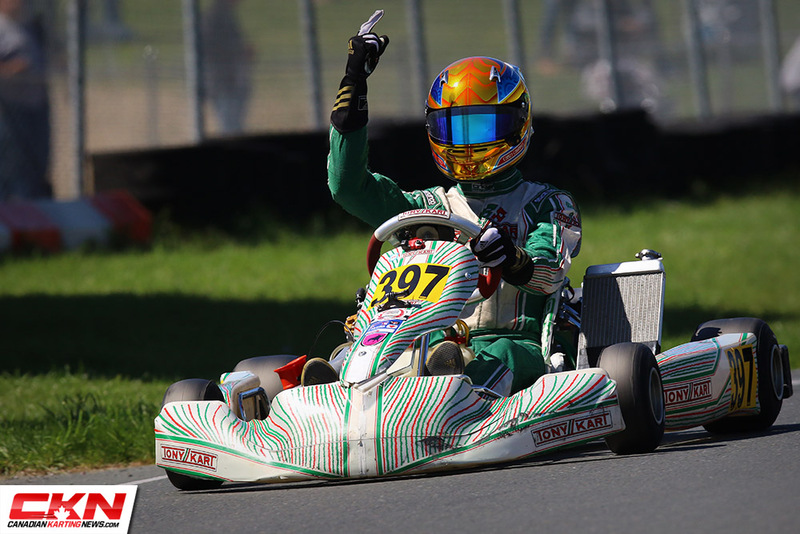 New for 2018, the CRFKC is a part of the Rok Cup Canada program for all of their two-cycle categories. After the region got their feet wet at the end of 2017, there was a more rounded approach from the paddock this weekend, with 53 Roks on track, including 21 in Rok Senior and 15 in Rok Junior, featuring some drivers who have graduated from Briggs & Stratton 206 racing. 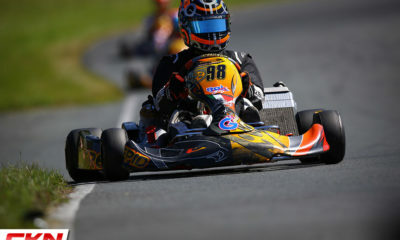 There were even a few more who practiced in the days leading up to the race who are expected to take part in the new Pfaff Kartsport Cup this coming weekend, and/or at future CRFKC races. 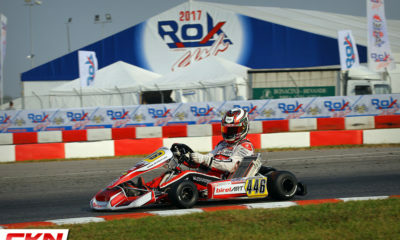 Here is our CRFKC Rok Cup Report. 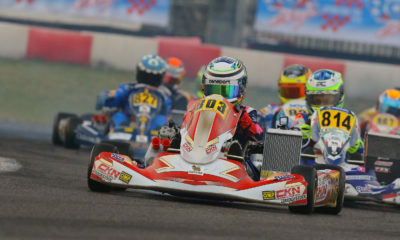 An impressive 21 karts rolled off the grid for morning warm-up in Rok Senior, with a variety of different levels of experience. 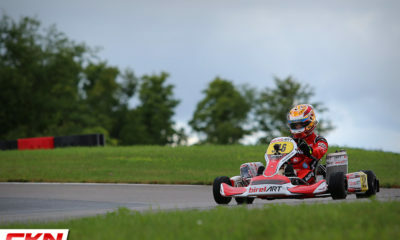 When it came to Qualifying, sophomore Senior Christopher Chanko (VSR/TonyKart) had set the pace as the only driver to break under the 36-second mark. 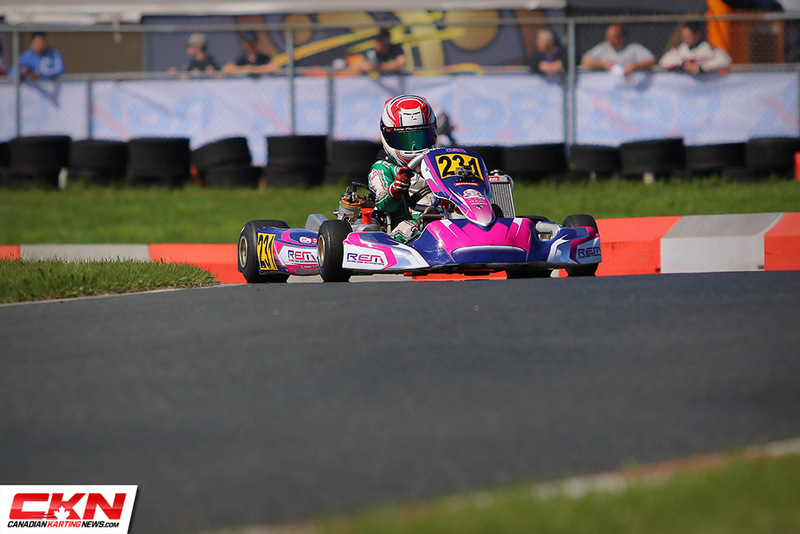 The PreFinal saw Chanko come under attack from teammates Cole Hooton (Prime/BirelART) and Ryan MacDermid (Prime/BirelART), but Chanko remained cool and stayed out front. 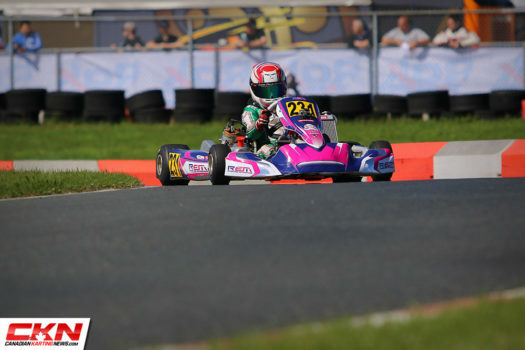 Chanko then led the field to green for the Final. 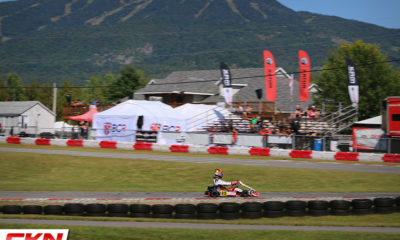 REM teammates Nicholas Hornbostel and Mark Davis came together in turn five, ending their chances of the podium after starting fifth and seventh. MacDermid spent the first lap getting around Hooton and that allowed Chanko to open up a small gap that MacDermid was never able to close. Out front and in control, Chanko completed the daily sweep with MacDermid and Hooton standing on his sides at the podium. Fourth went to Kai Dalziel (PRO/Intrepid) with Tommy Simard (REM/Kosmic) rounding out the top-five. 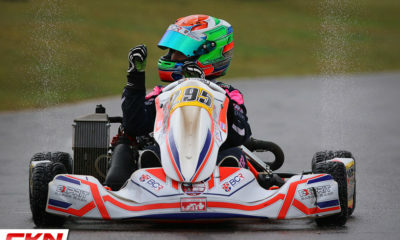 A victory hungry Dale Curran (REM/Kosmic) showed up on Sunday and he showed the Rok Junior category who was boss in Qualifying, lapping more than two-tenths of a second quicker than anyone else around the tight Goodwood circuit. 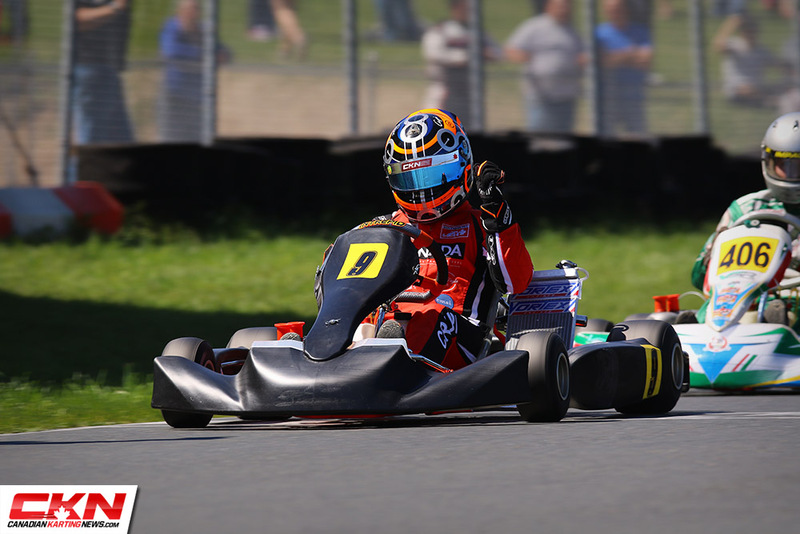 The PreFinal saw Nolan Bower (VSR/TonyKart) close the gap to the race leader and even set the fastest lap of the session, setting up a great pursuit in the Final. 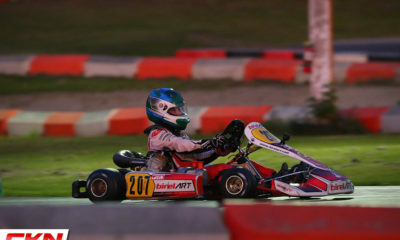 However, Bower slipped back to third on the start when Marcello Paniccia (Prime/BirelART) helped push Curran to the lead into turn one. 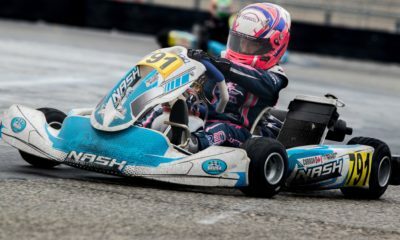 Paniccia held the spot until lap six when Bower finally got by, along with Gianluca Savaglio (Goodwood/Exprit) and Andrew Maciel (Prime/BirelART), but at this point, Curran had checked out and wasn’t reachable in the quick 12-lap main event. Bower broke free from the scrap for second place, that would see Maciel take third while Paniccia slipped back by Savaglio on the final lap to take fourth. After a very successful year in 2017, the Mini category endured a complete refresh over the winter that saw nearly all of the drivers advance up to Junior, opening the doors for a new crop of young drivers to shine. 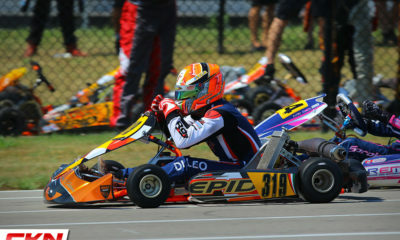 Standing out among the pack were two drivers; Frankie Esposito (Prime/BirelART) and Ayden Ingratta (AI Motorsports/Ricciardo Kart). While Esposito went three-tenths quicker in Qualifying, Ingratta put the pressure on in the races and in the closing laps of the Final, he was all over the rear bumper of Esposito. 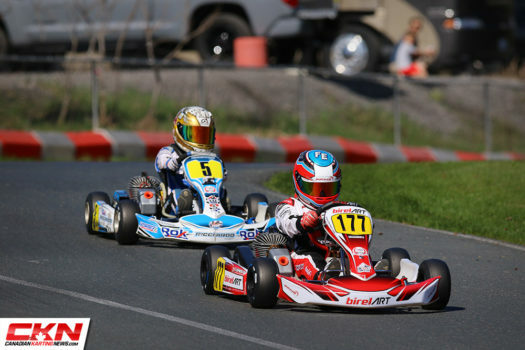 With both drivers looking for their first major two-cycle victory, it all came down to the final lap. 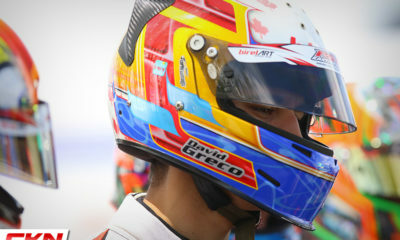 Ingratta first looked inside of turn four, but Esposito defended. Then again in turn five, but there wasn’t enough room. Through six, seven and eight, Ingratta was looking left and right and finally into turn nine he made his move up the inside of Esposito. 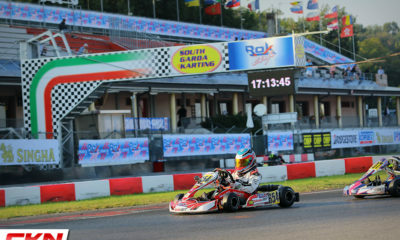 But he overshot his entry and Esposito smartly crossed over and regained the position going up the hill and on to the finish line. 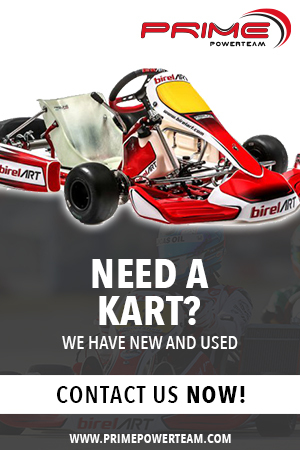 Cooper Simpson (Prime/BirelART) won the battle for third ahead of Cole Newton (Prime/BirelART) and Kenyon Stewart (PRO/Intrepid). 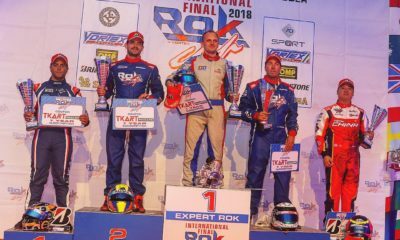 It took a number of attempts in the Final, but Joe Crupi (Goodwood/Exprit) finally made a move stick on Adrian Donkers (VSR/TonyKart) just past halfway and was able to pull away to victory. 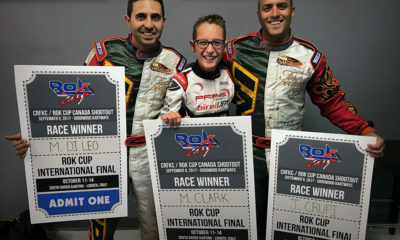 Crupi, the winner of last years CRFKC Rok Cup Canada Shootout, won the Prefinal but had to start the Final in third after officials called him for jumping the start. This allowed Donkers to lead the field of seven Rok Masters into turn one and gain the early advantage. Crupi closed in early and took a number of attempts at passing Donkers, only to get crossed over on the exit, time and time again. 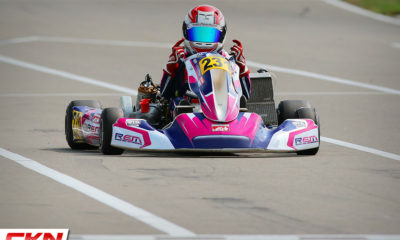 Finally, he made it stick and once out front, he posted the fastest lap of the race, but three-tenths of a second, and drove to the win. Donkers settled for second while Alessandro Deluca (Goodwood/Intrepid) was third. 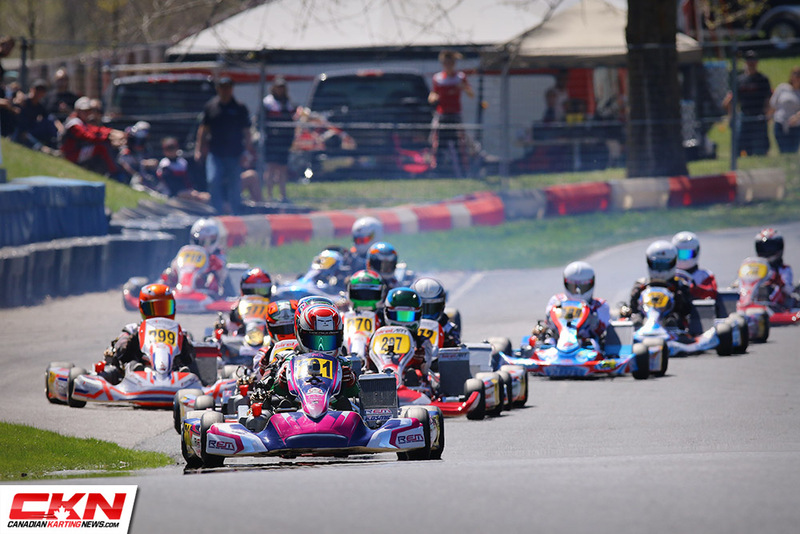 While it appears that more drivers will suit up in the Rok Shifter class later this season, only five karts lined up for the standing start on Sunday. 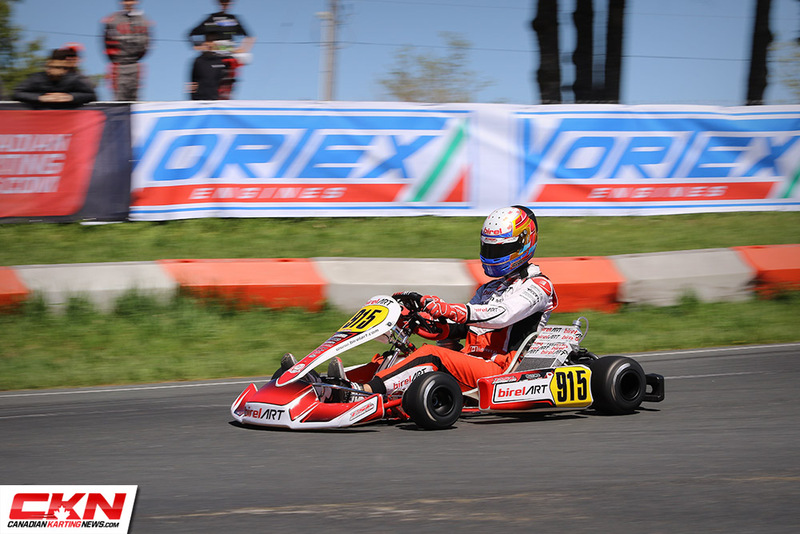 Davide Greco (Prime-PSL/BirelART), who was coming off a victory last weekend in the Coupe de Montreal, continued his momentum and was the class of the field, leading every lap on the track. 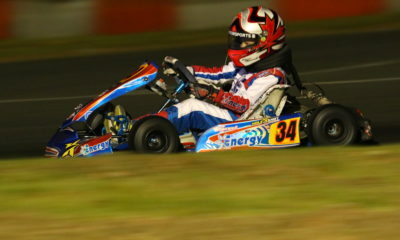 He was untouchable and drove home the victory in the Final by 3.4 seconds. 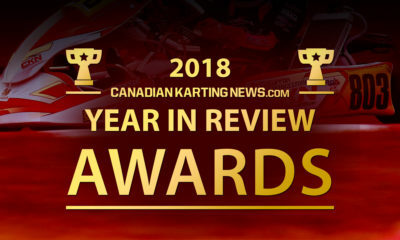 The new three spots were filled by drivers making their first Canadian starts in the shifter category as Justin Luik (Prime/BirelART) and Tyler McCullough (VRS/Intrepid) gained valuable seat time on route to podium results. 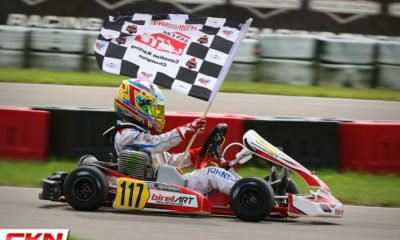 Xingran Tang (Prime/BirelART) came home fourth while Paolo Gomes (Goodwood/Intrepid) was fifth on track as the sole Masters Shifter driver. 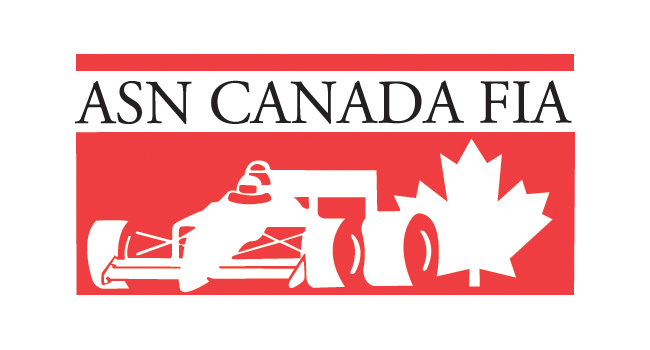 The second round of the Champion Ron Fellows Karting Challenge will travel west to Hamilton, Ontario as the Canadian Mini Indy Speedway will host their first-ever CRFKC race on June 3.